My only goal for today was to play along with The Paper Players, lol. Yeah, I know, rough day here :0) This is such a great sketch and I knew I had to make time to make a project with it. I finally broke into my pack of Everyday Enchantment DSP. It's good because it forces me to use colors I normally wouldn't go for, such as Calypso Coral, but I have to say that color does look nice with the Lucky Limeade and the Soft Suede! If you haven't already definitely go check out The Paper Players and the great inspiration provided by the DT! I just love this! The way you colored the image is perfect, and matches the BG paper so well! Thanks for playing with the Paper Players and sharing your pretty creation with us! So sweet Lisa!! This is my favorite image from that set and I love how you've colored it. Perfect match to the gorgeous DSP and I love the organza ribbon detail! So glad you joined us at The Paper Players! 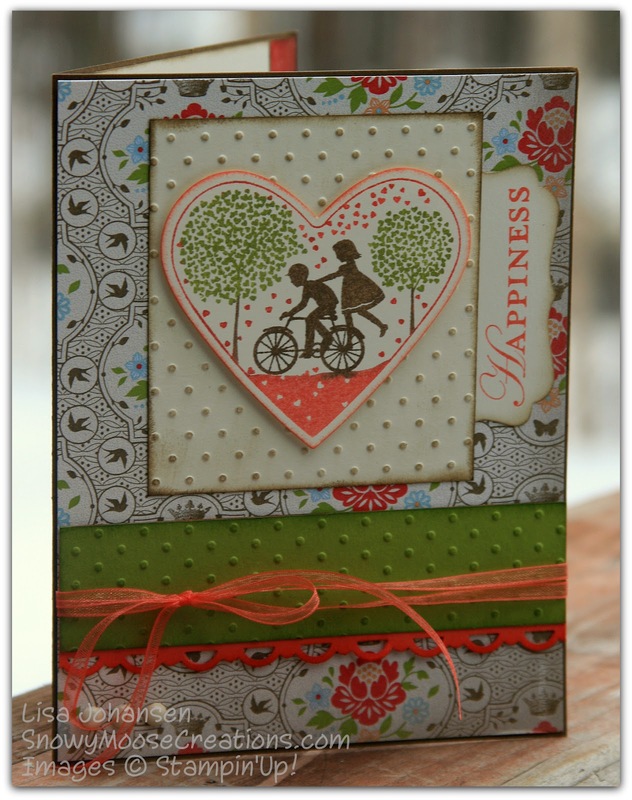 These are really pretty papers and I love how you colored bicycle stamp. I'll have to try that. Hi Lisa, I just wanted you to know how much I admire your creations and that you inspire me to do better. Thank you! If you could stop on over to my blog I have awarded you the Liebester Award. Thanks again for all you do! Your creativity and kindness matters! What a lovely card, Lisa! You took great patience to color in the image, adding in all of the colors in the coordinating paper...it definitely pays off!! And I love the softness of the Calypso SAB ribbon. 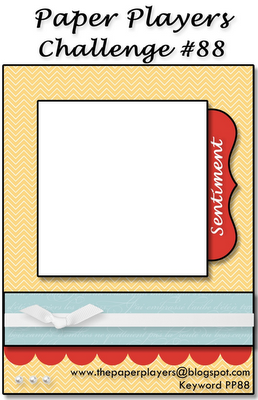 The sentiment you chose is perfect! So glad you joined in the fun at the Paper Players!